Oriental foes, Rangers and FC Ifeanyi Ubah, return to the battle ground for the official curtain raiser of the 2016/2017 season, as the Charity Cup will be decided between the League and Cup champions. At stake is the bragging rights, a potential pyschological edge, an early leg up on confidence, and most importantly a chance to win the first silverware in 2017. Wednesday’s clash will be the second time both sides will meet since December, when FC IfeanyiUbah denied Rangers the Super Four title after both sides shared points. It was a match the Enugu side needed outright victory to be crowned Super Four champions, but home fans were shocked to see a much improved FC Ifeanyi Ubah preventing their neighbours from winning the title. The NPFL title returned Rangers to the continent, while FC IfeanyiUbah is set to debut in the continent’s second competition after emerging Cup Champions, also on their debut. Both teams have been busy in pre-season. And with both managers (Imama Amapakabo and Yaw Preko) keen to make a statement for the new season, Sunday's clash is likely to be an intense affair - both on the field and on the touchline. The former goalkeeper needs no introduction considering his feat last season with Rangers. Despite his career as a goalkeeper, Amapakabo has been able to build a goal-scoring side with attacking flair. FCIU was responsible for his inability to win the Super Four and this is a chance to get revenge. The former Ghanaian International gets a chance to win a silverware in only his second official match for the club. Interestingly, his first match for the club was against Rangers and he deprived the Enugu side of the Super Four title. Preko side played their best against Rangers during the Super Four and pressure is on him to maintain the form on Wednesday. 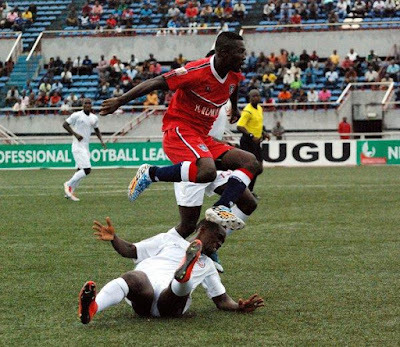 It was a glorious debut for the Nnewi as they claimed a double over Rangers in 2015. Rangers claimed a league victory over FC IfeanyiUbah for the first time in 2016, while the Nnewi side won the reverse picture. December’s Super Four clash was their fifth meeting and it ended in a 1-1 draw. The proximity has boosted the status of their rivalry. The Congolese has since become one of the biggest stars at the club in just one year. Interestingly, the fans love him and will be excited to see him wear the colours of the club for another season. Follow his exploits in the midfield as he attempts to inspire his team on match day. The big forward will lead Rangers’ quest for goals on Wednesday. Truth be told. Clement will keep the defence busy for 90 minutes and the defence must be alert to stop him. When he’s not among the goal scorers, Clement helps with assists. Did You Know? Both sides are meeting at a neutral venue for the first time. FACT: Former Nigerian International, Chibuzor Okonkwo, became the first ex-Rangers player to score against the Enugu side when FC Ifeanyi Ubah won the first-ever NPFL match between both sides, in 2015.